In the crowded SUV segment, it’s difficult to find a model with strengths in all areas that matter most. That is, until you come across the new Subaru Outback. This SUV proves strong in terms of fuel economy, interior space, off-roading abilities, and feature offerings, all which are certain to appeal to Norwalk drivers. 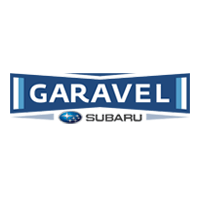 Finance your Subaru Outback at Garavel Subaru! Learn more by comparing the Subaru Outback vs the Volkswagen Golf Alltrack or to the Honda CR-V. You can also explore more of our inventory like the new Subaru Crosstrek or the new Subaru Forester, then contact us to schedule a test drive!